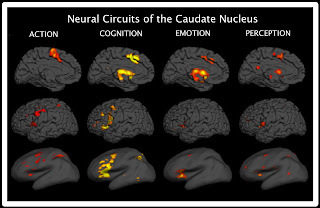 caudate nucleus using the BrainMap database. what a scientific treat)! This paper has relevance to clinical neuroscience as the caudate has been implicated in a number of disorders. The caudate has had a reputation of being involved primarily in motor function, and thus it has been the pathophysiological focus of many movement disorders, such as Parkinson’s Disease. 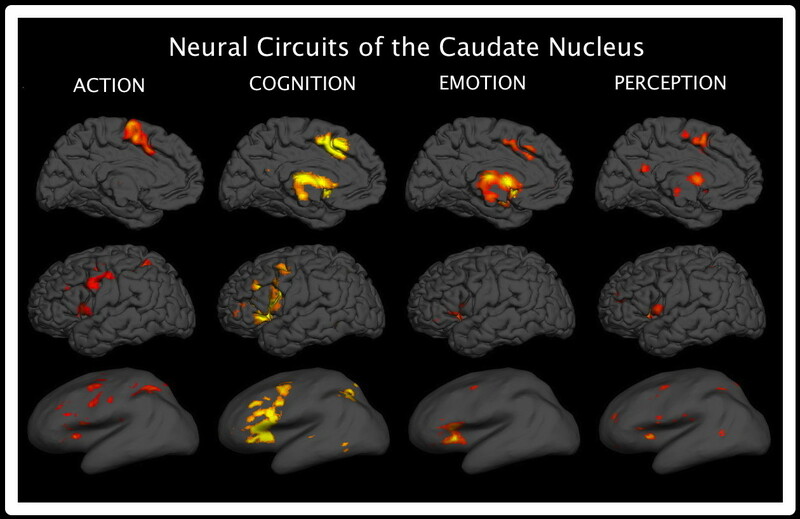 However, as we demonstrate in this paper, the caudate is seminally involved in other neural operations like emotion and cognition, lending further support for findings of aberrant function in psychiatric disorders.